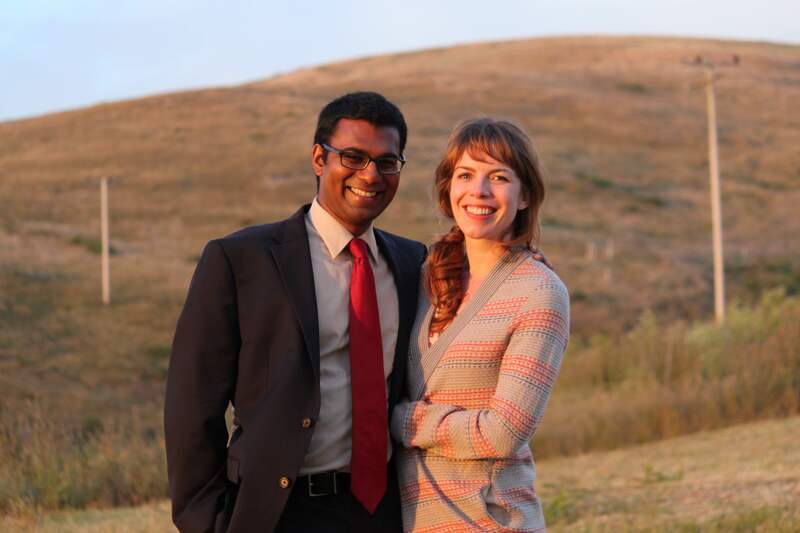 I never met Paul Kalanithi. We knew each other for a total of four months, talked on the phone a bunch of times (more than once, while he was in the middle of a chemo treatment), and exchanged a flurry of emails on writers we loved, his upcoming trip to the Super Bowl, and the direction his book—the book we were working on together—should take in the end. The truth is, despite Paul’s incredible warmth, his sense of humor, and his willingness to engage so fully in the writer-editor relationship, I was a little intimidated by him, by the immensity of what he had accomplished at so young an age: Stanford neurosurgeon, father, husband, holder of many degrees, reciter of romantic poems, deep thinker, supremely calm, kind, and rational person—when it came to questions of mortality and, as Paul put it, what it means to live a meaningful life, I figured my job was just to shut up and listen for once. So I did. And on these subjects, Paul had so much to say. So many of the passages in his book will stay with me, will comfort, challenge, and inspire me, for the rest of my days. Here, a few examples, but a caveat: I could have quoted twenty more passages like this, passages so crystalline and beautiful, so essentially true, they make me want to weep. Paul Kalanithi and Lucy Goddard Kalanithi, author of “My Marriage Didn’t End When I Became a Widow,” in today’s New York Times. My first thought is wow. My second is that the world is a more empty place because this wonderful, prolific man is gone. I am sad for his daughter and of course his wife but I am also sad for all of the people who will never be helped by his work. I am off to order this book so that I can read it all. Thanks for sharing! Thank you very much for posting this. As a mom to a child with a life-threatening illness, the excerpt about mortality really resonates. Paul’s book is going to the top of my reading list. I’ve been hearing about this book everywhere this week. Of course I will pick up a copy. What an incredible insight for us to experience. What a legacy for Paul to have left. But what a heartache is left in his wake. Thank you for working on this and sharing about it. Very moving – thanks for these quotes. What amazing words. Thank you Andy – you bravely traveled on a journey few of us get to traverse more than once – the blurred line between living and dying. You have given his family and the world a true gift. My reading begins tonight. As soon as I saw this book was coming out, I requested a review copy. I didn’t know Paul, but his sister in law was a friend of mine from graduate school, and I’ve read all of his writings with interest and not a few tears. He seemed like a pretty remarkable person AND a pretty remarkable writer, and I’m looking forward to reading the book. I just ordered this book for my son who is a third year medical student. Like Paul he is a deep thinker, a wonderful writer, and a person who cares deeply for the patients he cares for. I know he will be touched by Paul’s story. Thank you so much for sharing with us. Thanks so much for writing this piece. I am very much looking forward to reading this book–I have no doubt that it is going to (a) stay with me for a long time and (b) have an impact on how I look at the world. What a blessing to have such a gifted and generous man share his story and his words with all of us. Also–your book recommendations are a highlight of this blog for me. Thank you so much for bringing book recommendations to the conversation. Lastly, a while ago you posted a story about a writer you were working with who was working on a book of short stories, I believe. He had served in the military and your piece was about how he organized his kids in the kitchen around family meals. Would you mind sharing his name with me and if the book he was writing will be available soon? Just found your blog through Pinecones and Acorns. This book looks great and so does yours! Looking forward to some great reading. I didn’t know him personally either but have trained with other physicians who have crossed paths with either him or his wife and agree on all of your observations. In his chosen medical specialty it is sometimes difficult to find anyone who embodies some of the qualities that are universally ascribed to him, much less of all them. I also love it when physicians can write so well and put into such eloquent words the difficulties many of us face throughout our training/practice but lack the ability to adequately convey to non-medical family or friends. Kudos to Lucy for having the strength and presence to finish his book. Have been a loyal follower for 2 years–my spine of Dinner A Love Story is cracked, I have given away about 30 copies as gifts and eagerly await new blogs. This post floored me. I already read the review of Paul’s book in the NYT earlier this week. As an intensive care physician, and a wife, his book interested me intensely–waiting for my copy. Dealing with life and death every day as a NICU physician, it is easy to become burned out–cooking has always been a refuge! It is amazing what cooking dinner for my family after a horrible day in the NICU can do–a real balm for he soul! The link with his wife’s column in the NYT gutted me–should be required reading for every physician and loving spouse. EVERY day with our families is a gift. Thank you to you both for featuring the Kalanathis! Thank you, thank you for the work you do. As the mom of a NICU baby, I can say that your efforts literally mean the world to us. Take care of yourself too. Love to read this book! Thanks for sharing! well, andy , this punched me in the gut. i only follow a half dozen blogs religiously, and DALS and a cup of jo are two of them. so i was already familiar with paul’s story. although i live in italy, i read his pieces for the nytimes, and also lucy’s. to discover that you were his editor… thank you for this perfect post. i have preordered the book on kindle, and i think i receive it tomorrow. having traveled through the tunnel of dealing with cancer and come out the other end, i know how much this book will mean to me. plus, the death of david bowie – gosh, what an emotional week! thank you. Received notification that a copy is in our mailbox and I am anxiously looking forward to starting it tonight. Thank you for the preview. Just finished reading the book….deeply moved. Finding meaning in the face of tragedy is that to which we all aspire and Paul did it with grace, dignity and bravery. Andy, thank you for the empathy and generosity that is evident in your efforts to bring the manuscript to life. 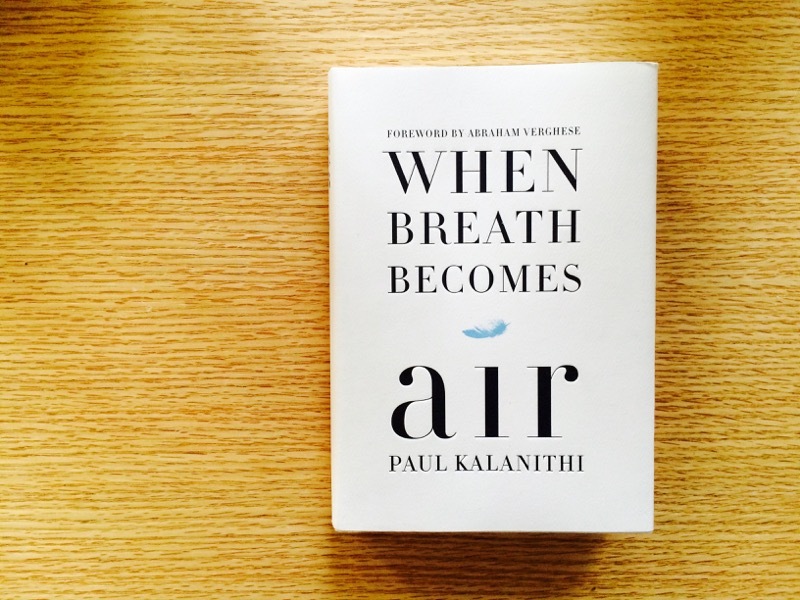 This book may have been written by a dying man, but it’s not about death. It’s about living – and boy, what a living it was – in the face of death, which, after all, is all we do, all we can do. Some have asked if this book is too sad. To me, it wasn’t sad at all, but it filled me with gratitude and hope and joy to know that there are those who pursue life with the kind of zeal and generosity as he did. It’s also the most beautiful love letter from a father to a child I could imagine: about what he valued, how he lived to honor those values, and how she, his daughter, was the ultimate living symbol of those values. I always trust your book recommendations. I was not disappointing by this one. I’ve been digesting it for days. what a great honor and responsibility to get it made. I’ve just read the book over the weekend and I was so moved. It is an incredible piece of work. I am in awe of what Paul achieved in his life and even how he was able to write the book – particularly when he was so sick. I am busy telling everyone I know to read this incredible book. Thank you for your work in making it a reality.